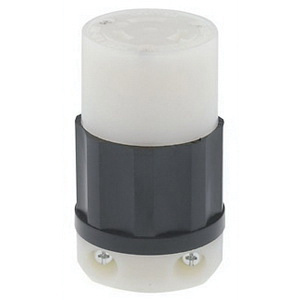 Leviton Industrial grade locking connector comes with thermoplastic back cover, steel and zinc plated assembly screws. It offer superior performance and long lasting reliability. 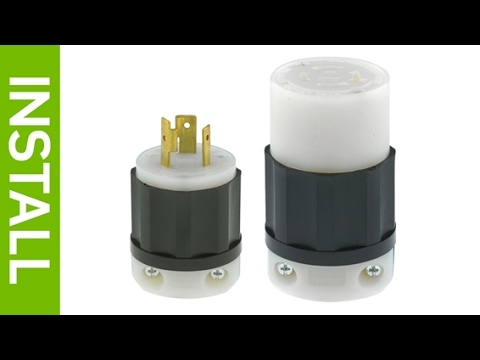 This connector is abrasion-, chemical- and impact-resistant. It operates at a voltage rating of 480-Volts and current rating of 20-Amps. Locking connector meets NEMA WD-6, ANSI C-73, UL498 File E13393, UL Fed Spec WC-596 File E13393, CSA C22.2 No. 42 File LR-406, NOM 057 standards.